Gut Oggau is a small project working with biodynamic vines in Burgenland, Austria. 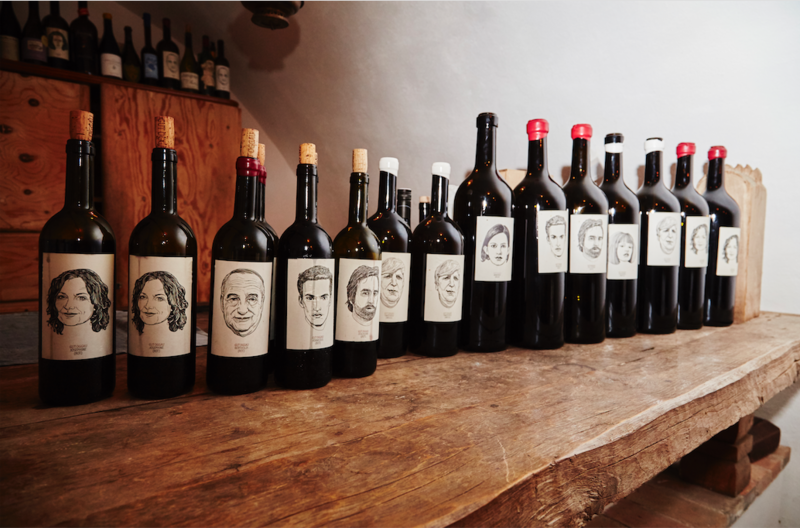 After restoring an abandoned 17th century winery, winemakers and viticulturists Stephanie Tscheppe-Eselböck and her husband Eduard Tscheppe created a new concept for labeling their bottles - creating a family of wine. Each bottle is personified as a member of a fictional family tree that spans three-generations. The characters are based on the individual personality of each wine. 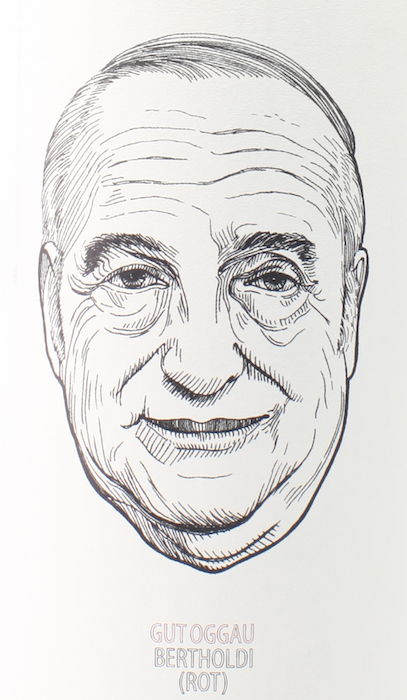 The wine labels themselves are line drawings of each character, created by German designer Jung von Matt. Each character is an attempt to communicate the personality of the bottle’s contents, as well as fend off preconceived notions of the region or the grape. There is the young vineyard prankster Theodora, a blend of Gruner Veltliner and Welschriesling grown in gravel and limestone, and the patriarch Bertholdi, a single vineyard Blaufränkisch from older vines. Gut Oggau cultivate 6 main varietes, Blaufränkisch, Zweigelt Grüner Veltliner, Welschriesling, Weißburgunder (Pinot Blanc), and Gewurztraminer. You can read more about Gut Oggau and their creative labels here, here, and of course on their website.